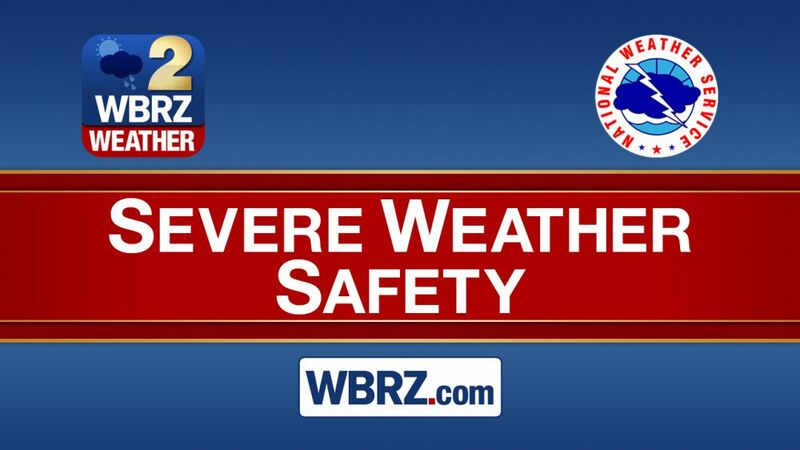 The WBRZ Weather team is here for you when severe weather strikes. Stay ahead of severe weather; stay in touch with our weather team on social media. 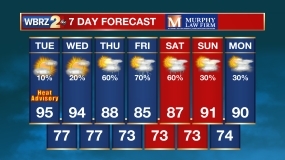 A Flash Flood Warning is issued when the National Weather Service detects an unusually high amount of rain that could lead to rising creeks, streams, rivers and dangerous runoff. 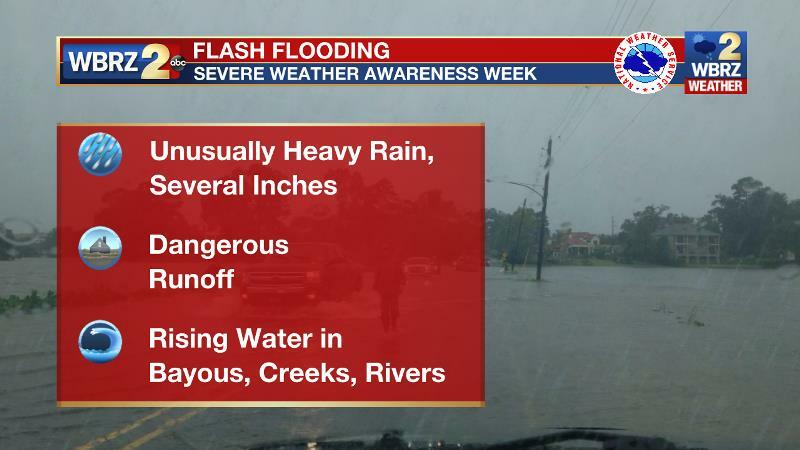 A Flash Flood Emergency means extremely heavy rainfall has already occurred will continue to occur, and emergency officials are reporting rises in water that are resulting in water rescues or evacuations. Flash flooding is a result of sudden, heavy rainfall commonly produced from slow-moving intense thunderstorms or multiple rounds of thunderstorms occurring over the same area. Flash flooding can also occur with a dam or levee failure. Flash floods become raging torrents of water which rip through creek beds, city streets, and areas of poor drainage, sweeping away everything before them. Over the last 30 years, on average, flash flooding kills more people each year than any other weather phenomenon. Stats from around the U.S. show about 85 fatalities per year due to flooding. Almost half of all flash flooding deaths occur in vehicles. You’ve heard it before, “turn around, don’t drown!” Two-feet of moving water can move most vehicles including pick-up trucks. Once water reaches your car door, it is close enough to enter the exhaust pipe or engine, stalling you out and causing serious damage. So, “hit the brakes y’all, don’t stall!” And just a few inches of moving water can knock a strong adult off of their feet. 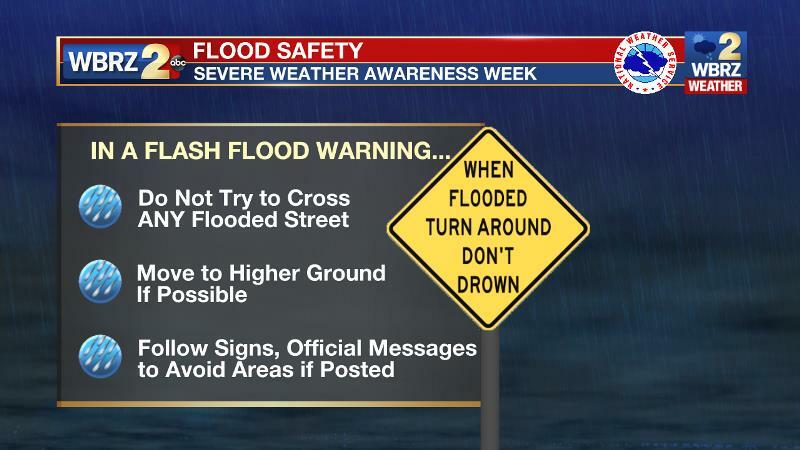 So if a flash flood warning is issued, do not try to cross any street where the water depth is unknown – even if it is a road you travel each day, there is no telling what lies beneath. Move to higher ground and if officials ask you to move from or avoid certain areas, listen to them! Determine your risk of flash flooding by knowing your proximity to streams. Densely populated areas are at a greater risk for flash flooding because pavement and concrete increases runoff. Less water being absorbed by the ground means there is more water available to overwhelm storm drains and flood low-lying areas. Prepare Your Home: You may be evacuated, so pack in advance. Don't wait until the last moment to gather the essentials for yourself, your family and/or your pets. Leave: If it is likely your home will flood, don't wait to be ordered to leave; evacuate yourself! Make alternative plans for a place to stay. If you have pets, take them with you or make arrangements to board them at a facility well away from the flooding danger. Stay Informed: Check in with WBRZ Channel 2, wbrz.com and WBRZ Weather social media platforms for information and updates. Get To Higher Ground: Get out of areas subject to flooding and get to higher ground immediately. Practice Electrical Safety: Don't go into a basement, or any room, if water covers the electrical outlets or if cords are submerged. If you see sparks or hear buzzing, crackling, snapping or popping noises --get out! Stay out of water that may have electricity in it! Avoid Flood Waters: Do not walk through flood waters. It only takes six inches of moving water to knock you off your feet. If you are trapped by moving water, move to the highest possible point and call 911 for help. Do not drive into flooded roadways or around a barricade; Turn Around, Don't Drown! Water may be deeper than it appears and can hide many hazards (i.e. sharp objects, washed out road surfaces, electrical wires, chemicals, etc). A vehicle caught in swiftly moving water can be swept away in a matter of seconds. Twelve inches of water can float a car or small SUV and 18 inches of water can carry away large vehicles. Avoid flood water: Standing water hides many dangers including toxins and chemicals. There may be debris under the water and the road surface may have been compromised. Heed road closed and disaster area signs: Road closure and other cautionary signs are put in place for your safety. Pay attention to them! Contact family and friends: Let your family and close friends know that you’re okay so they can help spread the word. Register with or search the American Red Cross’s Safe and Well listings.